Seating will be available on a first some/first serve basis. Reserved tables are available through sponsorship. 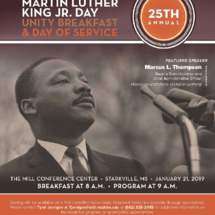 Please contact Tyrel Jernigan at tjernigan@oidi.mssstate.edu or 662-325-2493 for additional information on the breakfast, program, or sponsorship opportunities.